Ethiam’s Experts Add A Human Element. Software can make many things in our lives easier and can simplify many processes. But there is a human element to ergonomics assessment that just can’t be replicated by a software program. 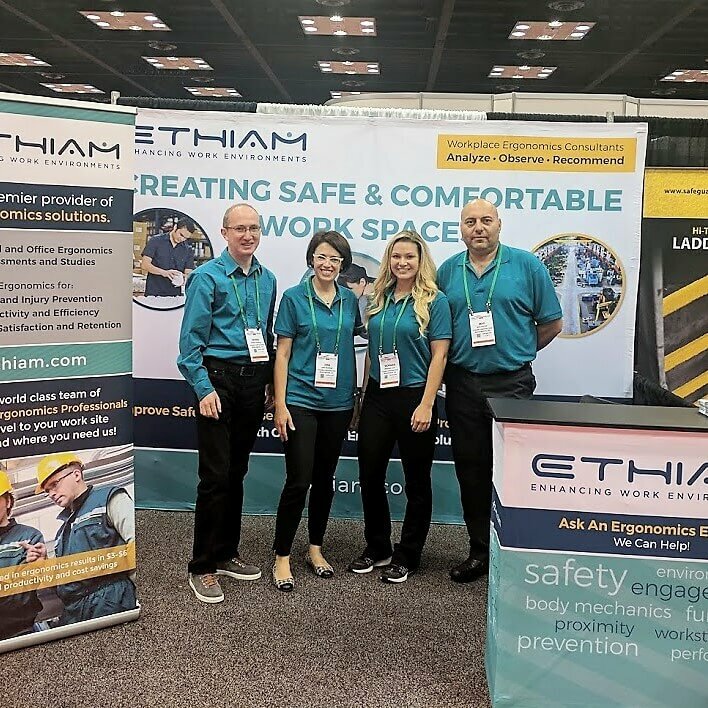 You need experts, like the team at Ethiam, to develop custom solutions that are easy to implement and produce results. Schedule a consultation with our team today and find out why it’s so important to have the input of a real person, not just a computer, when improving your workplace. Ergonomics software doesn’t explain the benefits or rationale behind changes. Computer programs take up your valuable computer resources as they must be installed on your computers to tally data. The software can be confusing. Both users and management must be taken through intensive training to understand the software. Data is susceptible to user error/non-compliance. Technical support will likely be automated. They work mainly at a workstation or static workspace- so the software doesn’t handle dynamic or unique work environments well. There is no human element to the evaluation. Ethiam follows up to monitor the effectiveness of the solutions we put in place for your team. A Human Approach to Ergonomics Assessment. We believe in education beyond metrics and identifying the needs of the individuals in your workplace. Ethiam’s approach is designed to find custom solutions to make your workplace a safer, more productive environment.